Beyond providing data for all 32 NFL teams, PFF also supports network broadcasters with game-preview packets that are used to enhance the in-game experience for fans and viewers. 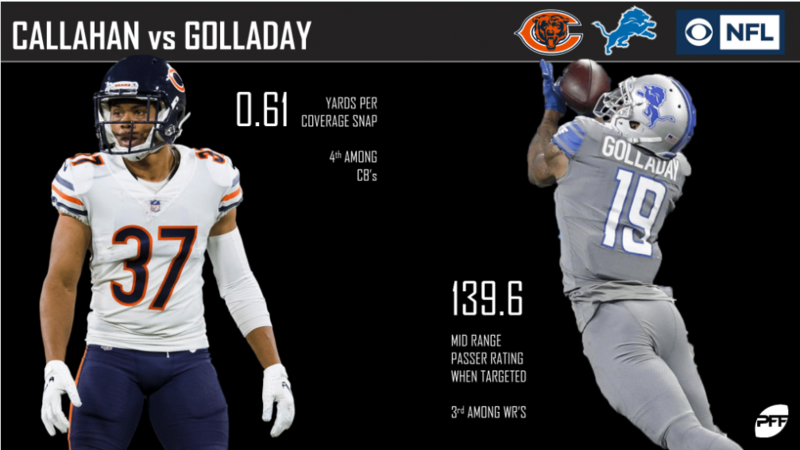 This Bears-Lions preview features the same information our broadcast partners use for team research and in-game production. 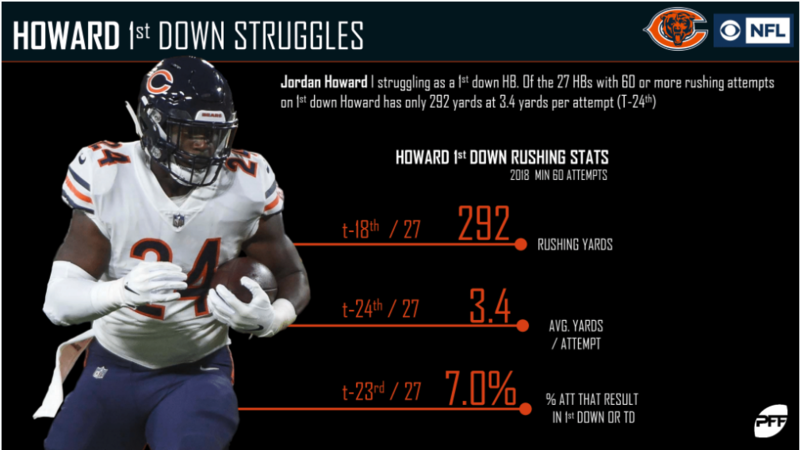 Jordan Howard is struggling as a first down back. Of the 27 running backs with at least 60 rushing attempts on first down, Howard’s average of 3.4 yards per carry ranks 24th. 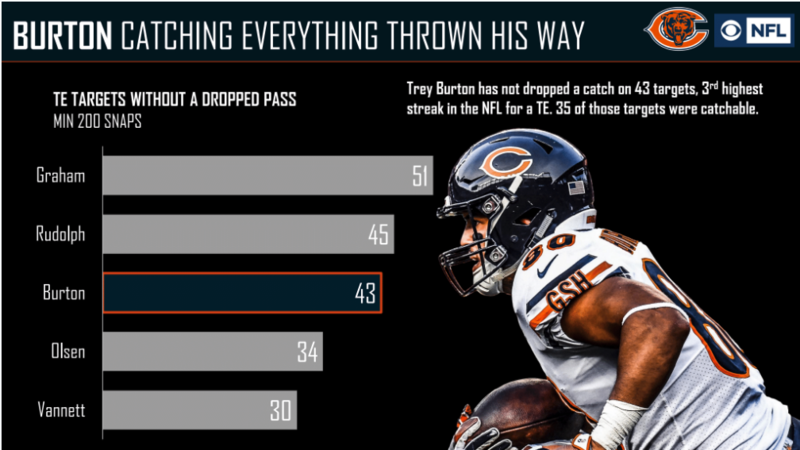 Bears’ tight-end Trey Burton has been one of the most sure-handed pass-catchers in the league. He has gone 43 targets without dropping a pass. 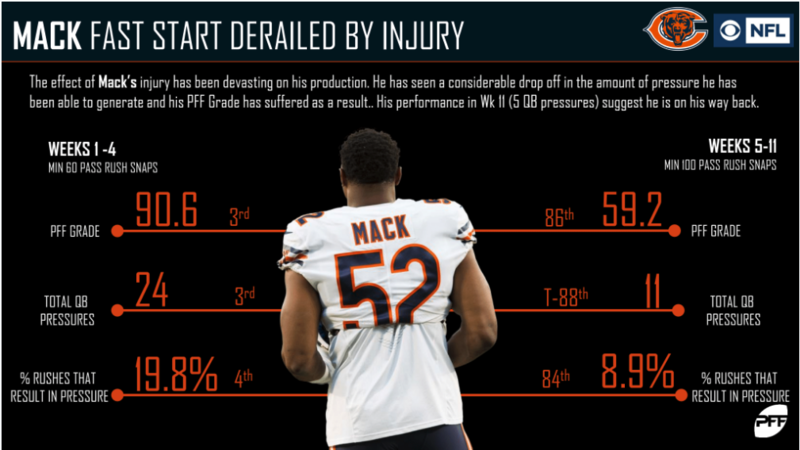 Bears edge defender Khalil Mack has seen his numbers fall after his injury. He’ll be looking to get back on track. 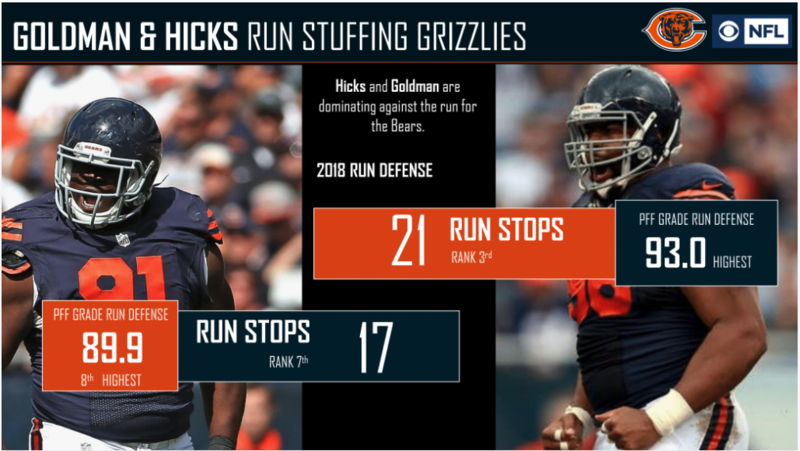 One of the more prominent reasons for Chicago’s defensive success this season is their ability to stop the run, as Eddie Goldman and Akiem Hicks both rank inside the top-eight in run-defense grades. Detroit’s offense has been stifled by Matthew Stafford‘s reluctance to throw deep this season. 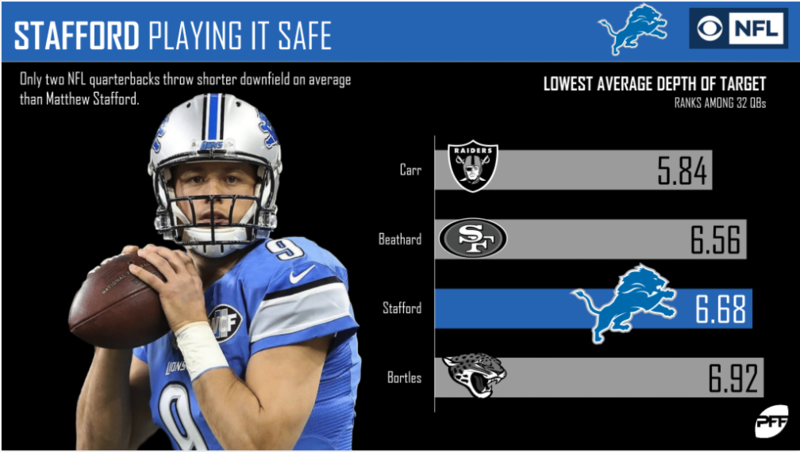 Stafford ranks third to last among all quarterbacks in average depth of target (6.68). 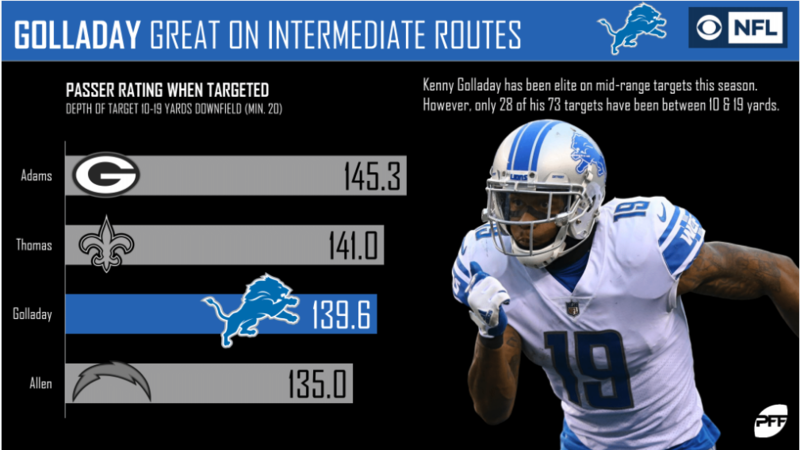 Lions pass-catcher Kenny Golladay has been among the best of the NFL regarding intermediate pass-routes. He ranks third in the NFL in passer rating when targeted on these routes (139.6). 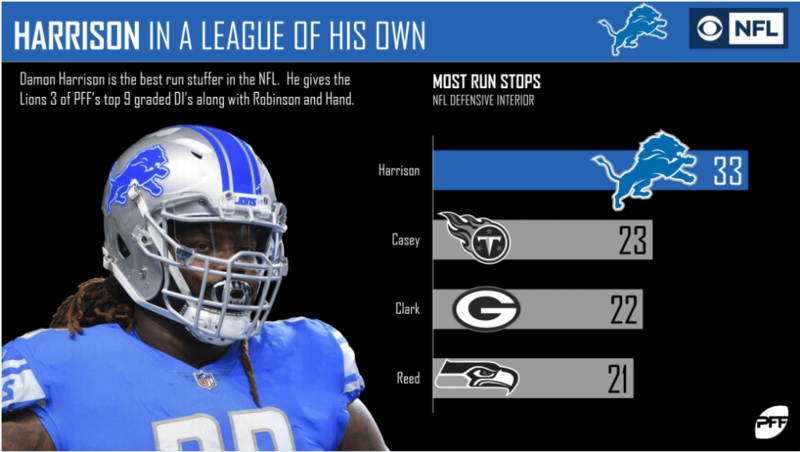 Damon Harrison has been as expected since his trade from the New York Giants. He leads all interior defenders in run-stops (33). 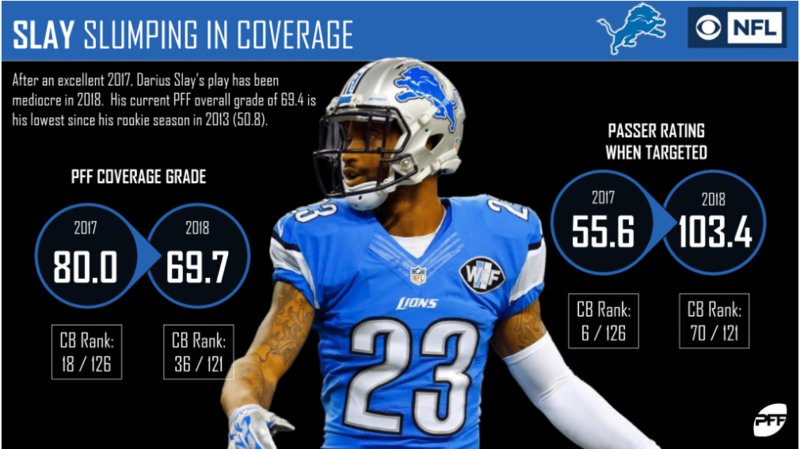 Darius Slay has seen his numbers drop significantly this year.